As the temperatures climb towards the triple digits here in the Valley, we start seeking out every available pocket of shade no matter how small. How about one surrounded by waterfalls?! And with birds!!! 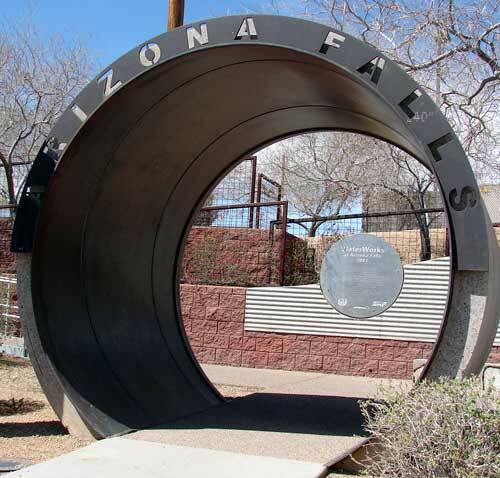 That is what Arizona Falls Park has to offer. 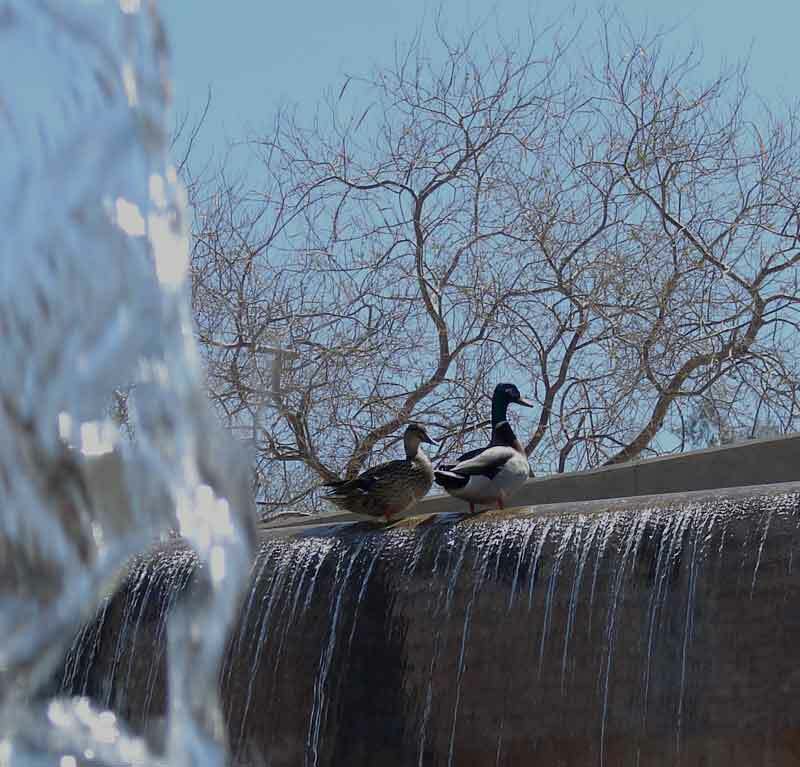 Its certainly no birding hot spot, but how many places do you know of in Phoenix where you can sit in the shade with water falling all around you, look up and see hummingbirds and an occasional duck? Other birds seen here include Abert's Towhees, Northern Rough-winged Swallows, Curve-billed Thrashers, Gila Woodpeckers, Verdin, Yellow-rumped Warblers, and of course House Sparrows, House Finches, and Great-tailed Grackles. At sunset during the summer this might be a great spot to see Lesser Nighthawks, Mexican Free-tail Bats, and many species of sparrows, as they all flit around eating bugs and mosquitoes over the Arizona Canal. So if you bird along the Arizona Canal or happen to be near the Arcadia neighborhood in Phoenix, stop by Arizona Falls for a cool break from the relentless summer sun. On-site parking is available from 5:30 a.m. to 10 p.m.
NIce profile Peggy. I teach 4th grade at the Charter School just south (56th and Thomas) of this park. It's a charming area. I've also seen some Black Phoebes around there and, one blissful afternoon, a Kingfisher. I hope you're staying cool this weekend. It hit 104 over on the west side of town today--ick. Wow! A Kingfisher! That's it, I now declare Arizona Falls an official birding hot spot! Who is Seeing What, and Where? 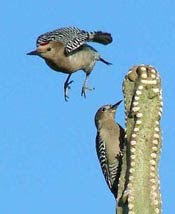 Desert Botanical Garden: Birds in the Garden, Every Monday, May thru Sept. at 7:00 a.m. Meet near front entrance. Join expert birders for a morning bird walk along the Garden trails. Everyone is welcome, including first-time birders. Wear a hat, sunscreen and comfortable shoes, and bring binoculars if available. Scooters available for rent to mobility impaired. See the awesome "DBG Birdwalks" website for complete listings of the latest birds seen at Desert Botanical Garden! 6:30 a.m. - Guides Lisa & Peggy will search for Violet-green Swallow, Blue-gray Gnatcatcher, Yellow Warbler and other colorful species on their Friday birdwalk around the main trail. The pair of engaging guides returns Friday July 6 and invite all who love birds to join their 6:30 a.m. walk. Owl Walk & Talk - Zanjero Park - June 23rd, 6:30pm – 7:30pm Desert Rivers Audubon OwlWatch volunteers will lead a tour of the burrowing owl habitat at Zanjero Park. Meet us in the park parking lot, 3785 South Lindsay Rd., Gilbert. flycatchers, hummingbirds, orioles, vireos and other resident specialties. Binoculars are available for use. Online registration now required, $5 fee. Online registration: www.pima.gov/nrpr For more information, email eeducation@pima.gov , or call 520-615-7855. Agua Caliente Park, 12325 E. Roger Road, Tucson. Arizona-Sonora Desert Museum, Tucson – Bird Walks every day (7:30 a.m., Mar – Sept.). Meet at museum entrance. Call 883-2702. Free with admission. Tohono Chul Park, Tucson – open 8 a.m. to 5 p.m. daily. 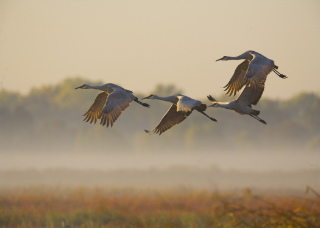 Birding walks at 8:00 a.m. Monday, Wednesday, Friday & Saturday, YEAR ROUND! Entrance fee. 520-575-8468. Sedona Bird Walks 7 am every Wednesday. Free Weekly Bird Walks in Sedona with Jay's Bird Barn! Tim will be leading free bird walks every Wednesday for Jay's Bird Barn. Limit 12 people – sign up in the store or by calling 928.203.5700 Don’t own binoculars? Let us know and we will provide you with binoculars to use during the bird walk. Summer walk hours are 7am – 11am. We'll meet at the Sedona store – 2360 Hwy 89A, Suite B-1 (at Safeway Shopping Center). Contact Jay's Bird Barn or Tim for the week's walk describing location, difficulty of the trails, etc. Are you more of a Night Owl? See my After Dark page for some great evening adventures! Fall Madness: Shorebirding And More!!! 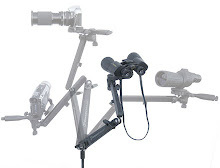 Wanna be a better birder? Take a tour with Tommy! The health of our Arizona rivers and the livelihood of the people and the wildlife that depend on them are in jeopardy. A combination of drought, invasive species, over-allocation and unsustainable management are running our rivers dry. Many of the birds that depend on them, like the Western Yellow-billed Cuckoo and Bell’s Vireo, are in decline, and the future of the communities and economies surrounding the rivers is uncertain. Click here to join Audubon's Western Rivers Action Network as we rise to this historic challenge to create healthier western rivers for the birds, wildlife and people. Desert Rivers Audubon Bird App! 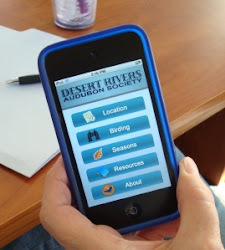 Desert Rivers Audubon mobile birding app includes site descriptions highlighting birds likely to be seen. The app cost $9.99. It is available for both iPhone and Android smartphones through the respective app marketplaces. I'm a birder and long time Arizonan and outdoor enthusiast. Been wheelin' it for over twenty years, and on occasion, even wing'd it (that's a whole other blog). I'm fascinated by birds, and anything else that flies. 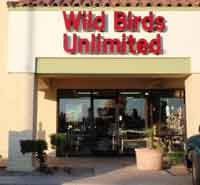 This blog is to share my experiences as I explore Arizona, looking for great, wheelchair accessible, birding hot spots. 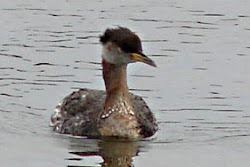 You are at http://www.birdingwithoutbarriers.com/ - ENJOY! Steadymount for hands-free use of binoculars or camera. Unfortunately it is no longer manufactured. Another wheelchair camera mount is Mount'n Mover. Click on image to go to their website. My dream 4x4 chair! Invented right here in Arizona, by a husband who wanted to help his disabled wife continue to experience the outdoors with her family. Job well done! Birding For All (formerly Disabled Birders Association) would never compromise the needs of birds or other wildlife with their push to get better access for people, but do believe that good design that gives access to people with mobility problems etc. does give improved access to EVERYBODY. Half of DBA members have a disability and half do not - they welcome all as it will only be by an alliance of disabled and able-bodied people that change will happen. Please join Birding For All - Membership is FREE. LOOKING FOR MORE WHEELCHAIR ACCESSIBLE PLACES TO GO BIRDING? To find accessible trails, lakes, and lodging, throughout Arizona see the excellent eMagazine Accessing Arizona. You'll find insightful reviews of accessible destinations such as the Grand Canyon, the Mogollon Rim, Lake Powell, Red Rock country, Prescott, Flagstaff, the White Mountains and more! All Photos are Copyright 2016 Peggy Thomas, unless otherwise noted. Awesome Inc. theme. Theme images by digi_guru. Powered by Blogger.